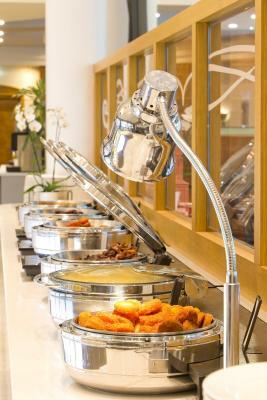 Excellent breakfast buffet with "American" style food options. All staff very friendly and helpful. Rooms spacious and beds very comfortable. Quiet even though near the airport. Shuttle service convenient and efficient. Terrible attitude from the staff we arrived at 10am and they only gave us our room at 2pm but the attitude was totally wrong, asking to check my passport at least 3 times like I was going through migration. They dont understand anything about service or that they are an airport hotel!! One of the worst experiences with staff in hotels ive ever had! The bed was very comfortable.breakfast compensated poor dinner options. Location for an overnight layover is perfect because it’s right next to the airport. Nice room, large bed. Bathroom not same level to the room but ok. Breakfast with large selections, tasty food. 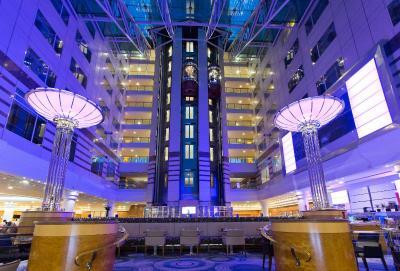 The room was very comfortable and the Front desk staff was very helpful and spoke very good english! Very accessible from CDG - just a short walk from tram - yet very quiet. Staff are very friendly. 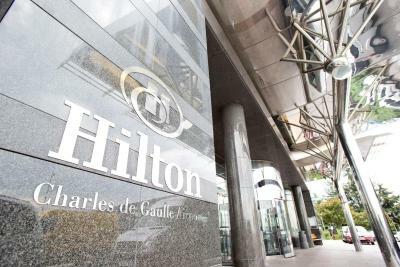 Hilton Paris Charles De Gaulle Airport is only 1 minute from the free CDGVAL shuttle, offering access to all terminals of Charles de Gaulle Airport. 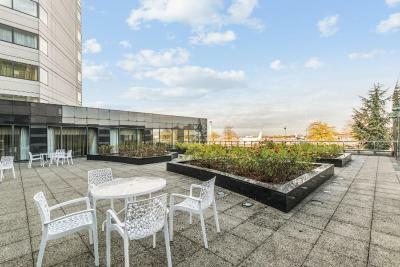 It is 30 minutes from Paris via the nearby CDG 1-3 RER Train Station. The property offers free access to an indoor, heated swimming pool, sauna and fitness center. 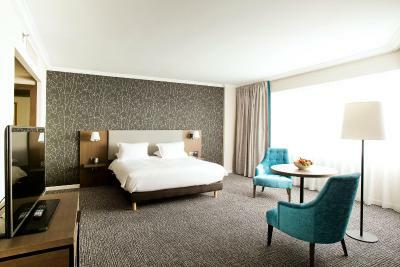 Hilton Paris Charles de Gaulle Airport offers spacious and bright rooms with large, soundproofed windows and a flat-screen TV. 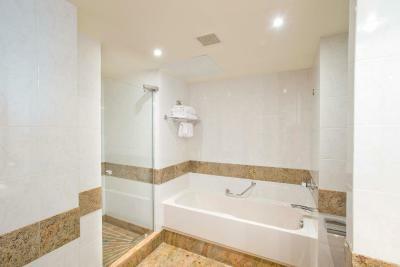 Private bathrooms are equipped with a bathtub and a separate walk-in shower. 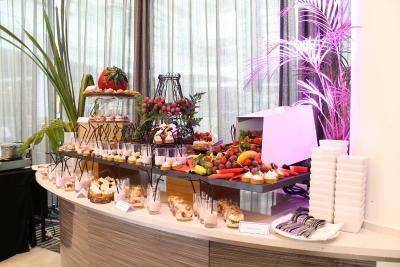 Guests staying in Executive Rooms will have access to the Executive Lounge, where they will be able to enjoy refreshments and a free continental breakfast. 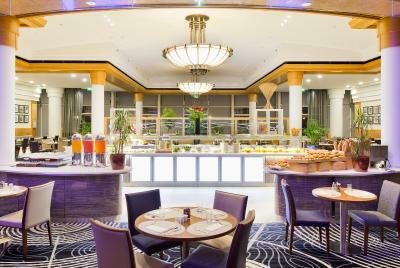 At the Skylight Bar & Restaurant, you can savor contemporary and classic French meals and a wide choice of snacks made with fresh, local produce. 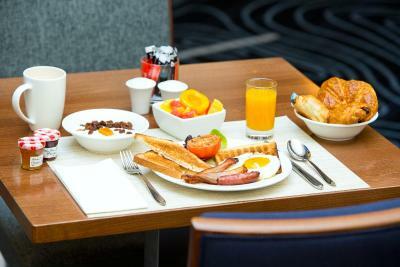 You can also enjoy an all-day breakfast or sample the dishes on the set menu. 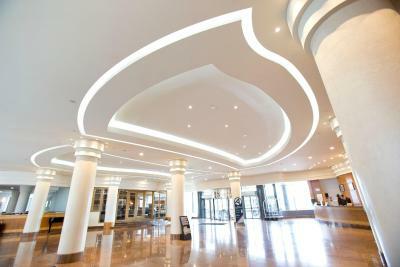 Free WiFi access is available in the public areas, while charges are applicable in the rooms. 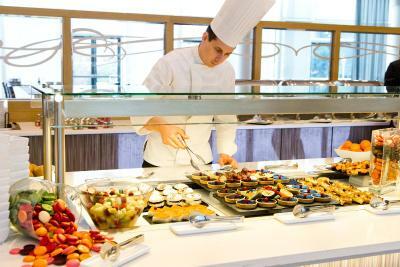 A 24-hour room service and covered parking are also available at Hilton Paris Charles De Gaulle Airport. Parc des Expositions Paris Nord Villepinte Exhibition Center is a 11-minute drive from the property, while Le Bourget Airport is a 15-minute drive away. 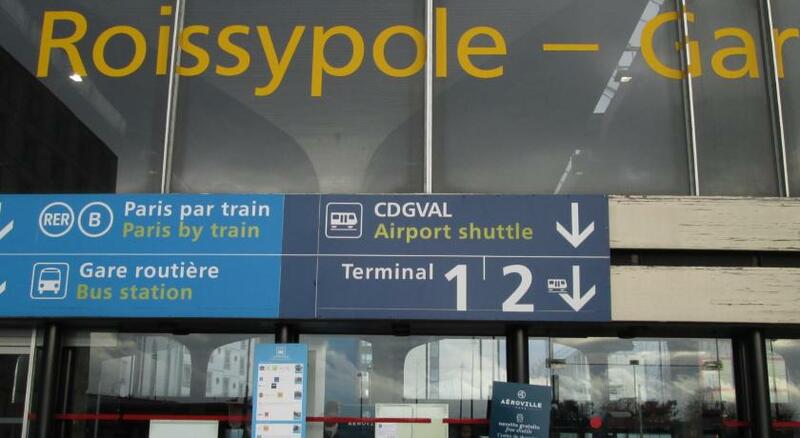 The free airport shuttle is a private service and stops at the TGV train station in Terminal 2. It runs every 30 minutes from 06:00 to 23:00. The RER Station and the CDG Airport Shuttle can be reached within walking distance, which is also suitable for guests with reduced mobility. 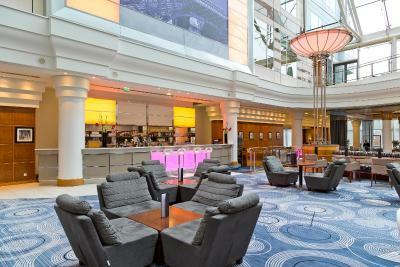 When would you like to stay at Hilton Paris Charles De Gaulle Airport? A flat-screen TV with satellite channels, air conditioning and a small fridge are provided. The bathroom includes bathrobes and slippers. 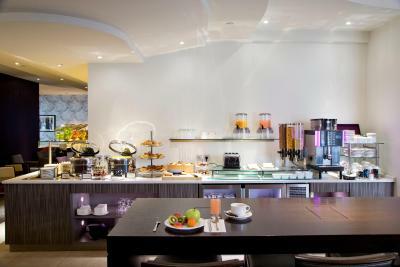 This room offers an access to the Executive Lounge and complimentary breakfast and refreshments. 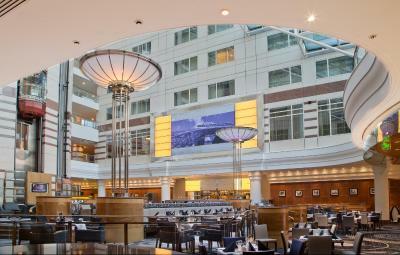 You may request a room with a view of the Concorde, the runway or a room on an upper floor (subject to availability). An extra bed or a baby cot can be added in this room upon request. Warmly decorated room with a seating area, a flat-screen TV and a small fridge. The marble bathroom is complete with a bath and a shower. You may request a room on an upper floor (subject to availability). An extra bed or a baby cot can be added in this room upon request.. 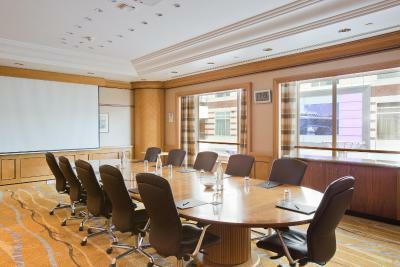 This spacious room includes large soundproof windows overlooking the airport. It also has a seating area, a flat-screen TV and a marble bathroom with bathrobes and slippers. 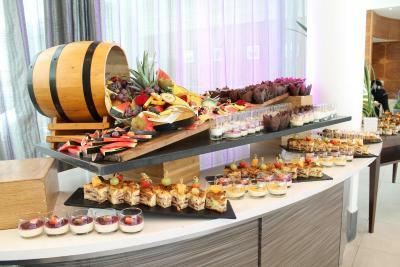 This room offers an access to the Executive Lounge and complimentary breakfast and refreshments. A selection of international newspapers is at your disposal. 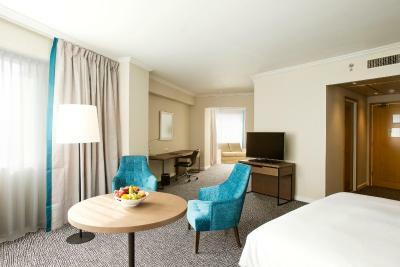 This spacious room includes large soundproofed windows overlooking the airport. It also has a seating area, a flat-screen TV and a marble bathroom with bathrobes and slippers. This spacious suite set on the top floor and has a dining area, living area and a second bedroom. A flat-screen TV with satellite channels, air conditioning and a small fridge are provided. 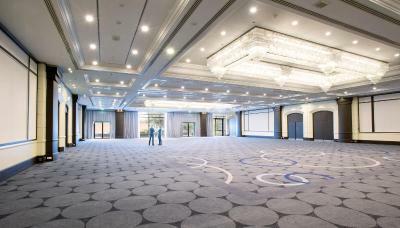 Bright large room on the top floors offering a view of the airport runway. It is complete with an LCD TV, air conditioning and a small fridge. This quadruple room has a soundproofing, electric kettle and tea/coffee maker. This quadruple room features air conditioning, tea/coffee maker and satellite TV. 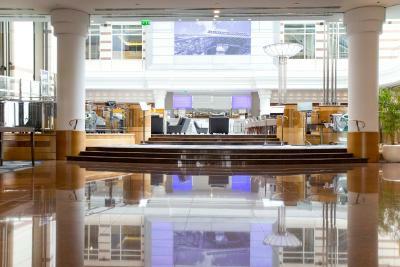 House Rules Hilton Paris Charles De Gaulle Airport takes special requests – add in the next step! Hilton Paris Charles De Gaulle Airport accepts these cards and reserves the right to temporarily hold an amount prior to arrival. I can smell the cigarette from the other room. The bedroom is very big and comfortable. Breakfast was great. The Hotel is also ideal. Breakfast not included with stay. If you wanted to eat at their breakfast bar, it was 27 euro per person. great place for overnight travel through CDG! No hot water in the shower , toolets leaking . 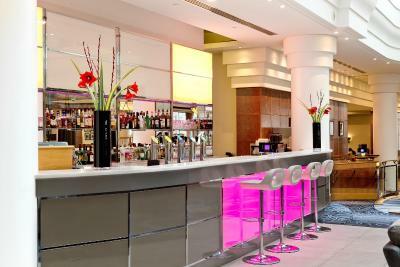 Cheap rate to get booking with poor service and outrageously priced food given there are no options close by. The airport shuttle took 45 minute and when it arrived was too small to carry all the guests! On the way out, same thing happened! Restaurant prices for dinner were extravagant so went into the town by uber for 20 euro roundtrip to a brasserie instead. Bothersome to connect to wifi (only free if part of members club, otherwise expensive). The attitude at check in and trying to accomodate our needs!